Operating Monday to Friday throughout the year (weather permitting). New members & visitors are always welcome. 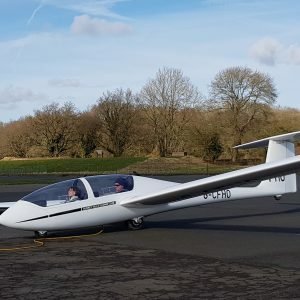 The Surrey Hills Gliding Club is based at the historic Kenley Aerodrome, some 15 miles south of Central London, and just a few miles from junction 6 of the M25. 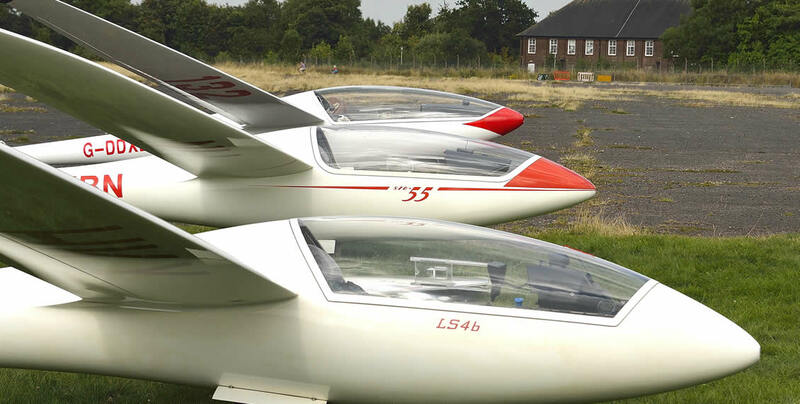 We are the nearest Gliding Club to London and the only Gliding Club within the M25. 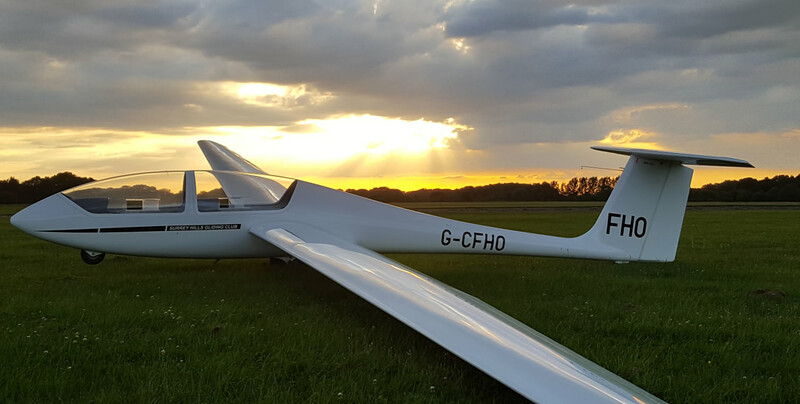 The Surrey Hills Gliding Club Ltd (SHGC) has been operating from RAF Kenley Aerodrome since 1985, and is owned and operated by the members. We share the airfield with 615 Volunteer Glider Squadron (VGS), who have use of the airfield on weekends and some weeks during school holidays. 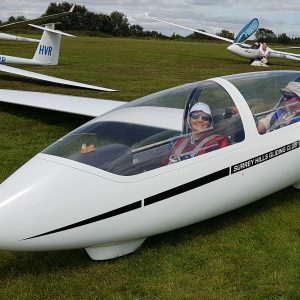 The club is affiliated to the British Gliding Association, our sport’s governing body, and all our training is given by BGA approved instructors. All flights are made as members of the club, with temporary membership and trial lessons available to help you get started. 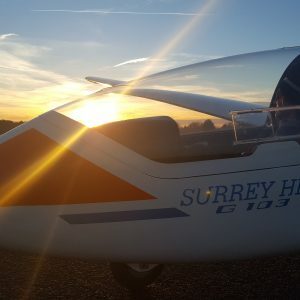 Surrey Hills Gliding Club is a winch only site and our current club fleet comprises two dual seat training aircraft and three single seat gliders for those members that have progressed to solo flying. A friendly club that operates Monday to Friday all year round and can boast it trained a Junior World Champion. Come along and try out this wonderful sport – one day at the club, and four flights later, I was hooked. I have been back nearly every week since then. Surrey Hills Gliding Club is unusual in that it operates on weekdays only. However membership allows us to fly at weekends with other clubs. I have been a member for twenty-four years, I must like it. Most gliding clubs are situated among miles of rolling fields, often with a valley, a ridge or even a small (British-sized) mountain nearby. Not so Kenley! If you want to experience proper urban flying, where your views are the London skyline, then come and fly at Surrey Hills Gliding Club. It really is a unique experience, it’s a gliding club full of people who share a passion and are committed to the club. If you love gliding it would be a shame to miss the opportunity to fly over this historical Battle of Britain airfield. So much excitement and adrenaline. I think it’s the most magical thing I’ve done in my life. Because of gliding I feel I can fly anywhere now and enjoy it, and it’s opened up so many new possibilities to go to places I never had the confidence to fly to before. It has honestly changed my life and I can’t thank you all enough. (answer phone at other times).